Coscharis Motors is a member of the coscharis group, the coscharis group has seven subsidiaries. Cosharis motors deal with Auto Sales, Auto servicing and Auto showrooms around the country. 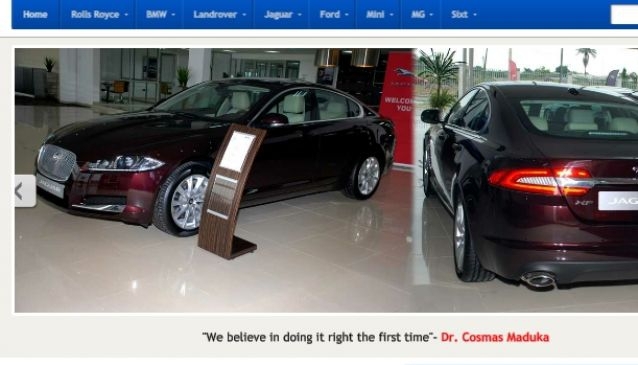 With many years of success in play (since 1983 to be precise), Coscharis motors have been in business partnership with major automobile brands and have been a major marketing force of quality automobiles in the country. From the BMW 1-7 series to the Land Rover variants i.e the Range Rover Vogue,Range Rover Sports, Range Rover Evoque, Discovery 4, Freelander 2 and the Defender, Ford brand of automobiles - there is hardly any luxury brand of automobile that you won't find in one of Coscharis motors showroom spread across the country.